When your loved one has been the victim of negligence in Arkansas, it is important to be proactive and get help as soon as possible. Nursing home abuse lawyers can meet your needs and provide you with professional legal advice to represent your loved one in a negligence case. The Nursing Home Reform Act and Arkansas statutes currently govern nursing home negligence cases in the state. Information released from Medicare from reports, surveys, inspections and investigations revealed that there are 232 nursing homes in Arkansas. Based upon their inspections findings, the federal agency states that seventy-two (31%) of all nursing homes in Arkansas were found to have serious violations and deficiencies that now rank these facilities below the national average due to substandard care. 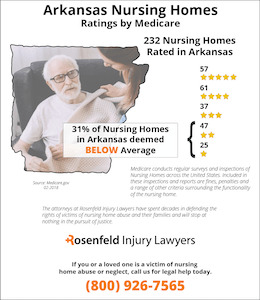 If your loved one was injured or died prematurely while residing in an Arkansas nursing facility, we encourage you to contact the Arkansas nursing home abuse & neglect lawyers at the Nursing Home Law Center at (800) 926-7565 for a free initial case consultation. Let us begin working on your case today to ensure your family receives financial compensation for your damages. If nursing home professionals do not treat your loved one with the utmost care, respect and dignity, then you have a right to file a complaint on behalf of your loved one. If you begin noticing injuries on your loved one, then you will only have a period of three years to get in touch with an attorney from the date of discovery of injuries. Arkansas has a three-year Discovery Rule, and private causes of action for negligence or wrongful death must be filed within this period of time. There may be physical signs of nursing home abuse on a loved one, such as burns, abrasions, bruising, open wounds, infections or scratches. 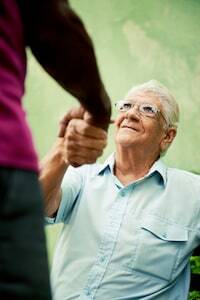 In addition, nursing home residents may show signs of exploitation or emotional abuse. If a loved one is withdrawn, shows signs of sadness, has high anxiety levels or communicates feelings of isolation, then he or she may be the victim of emotional abuse of a nursing home staff member. Family members should also pay attention to subtle signs of abuse which may include lost or stolen personal items, strange behaviors, frequent illness, heavy sedation or an inability to express one’s self around nursing home staff members. 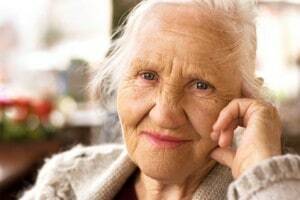 If you suspect that a loved one has been the target of nursing home abuse, neglect or exploitation, then get in touch with a nursing home lawyer today. Nursing home law firms can schedule a free consultation appointment to discuss your loved one’s situation today. The medical staff at nursing homes are required to rotate bedridden and wheelchair-bound patients every two hours as a preventative measure against developing bedsores. Unfortunately, many nursing facilities are staffed with overworked nurses and nursing aides who cannot provide the time necessary to monitor every patient properly. 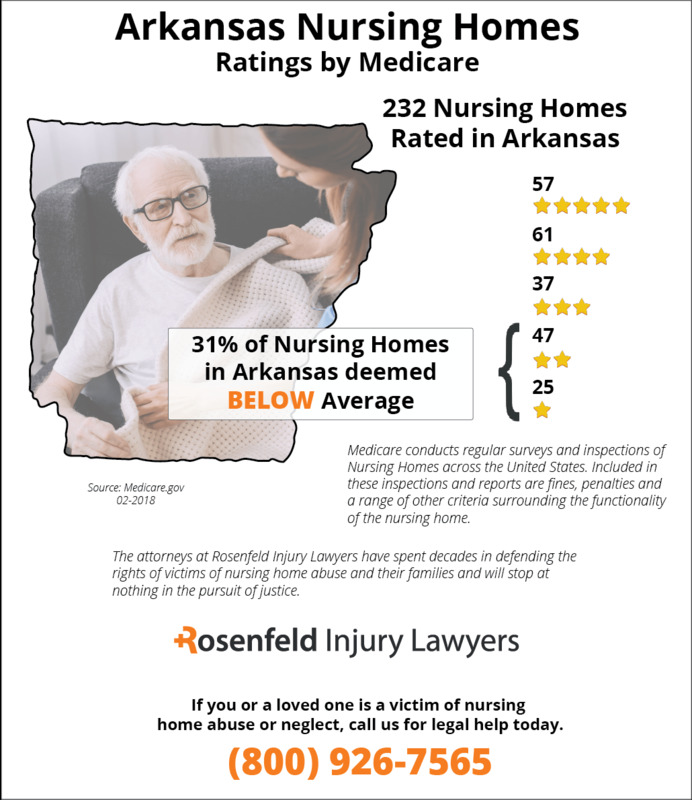 The Arkansas nursing home abuse attorneys at Nursing Home Law Center LLC are committed to holding negligent medical facilities, such as nursing homes and hospitals, fully accountable for their negligent care. Our law firm has experience prosecuting Arkansas bed sore lawsuits on behalf of individuals and families impacted by pressure sores. Contact our office for a free review of your Arkansas bed sore case today. While a bedsore can easily develop in the early stages within hours of constant pressure on a body part, providing early treatment can reverse the condition to allow it to heal completely. A proper response to a detectable bedsore by the medical staff usually requires repositioning the patient every hour or two to alleviate pressure on that part of the body. However, when the bedsore is not properly monitored or treated with proven procedures, even a minor pressure sore can easily develop into a serious decubitus ulcer. Because the signs and symptoms of a developing bedsore is easy to detect, most advancing stages are often the result of negligence by medical staff in the nursing home. Stage I – Red spots and blisters will begin to form at the affected site and the skin will usually feel firmer or softer than the surrounding tissue. At this stage, no open wound is present. Stage II – The skin at this stage becomes thin and can wear away or break open forming a tender and painful ulcer that expands into the deep layers of the skin. Sometimes a shallow crater, abrasion, scrape or blister will appear, causing permanent damage or death to the affected tissue. Stage III – In this advancing stages, the bedsore becomes significantly worse, extending well below the layers of the skin forming a well-defined crater. Fat deposits may appear. Stage IV – In this final stage, the pressure ulcer has caused extensive damage to the affected area reaching into the deeper tissues, often exposing joints, muscles and tendons. In advancing stages, osteomyelitis (bone infection) and sepsis (blood infection) can occur, creating a life-threatening condition. Without proper treatment, the patient can die quickly. Many times, loved ones need to be placed in a nursing home to receive the proper medical care they deserve to deal with their illness, disability, ailment, or condition. The medical professionals at the nursing facility are paid to provide proper health care service to every patient. When they fail in their duties to provide adequate care and a loved one is hurt through negligence or neglect, every responsible party must be held accountable. Family members and friends who realize that their loved one is suffering from a bedsore caused by the negligence, carelessness or inattention of the medical staff are often appalled and angered. Typically, the only recourse available to them is to hire a skilled Arkansas bed sore lawyer to take legal action to stop the negligence and seek financial compensation. Below is a list of professionals who can provide proper wound care and assist the injured loved one to stop the negligence immediately. When the medical staff in a nursing facility is unable to provide adequate care, it is essential to stop their negligent actions against your loved one immediately so they can no longer compromise the patient’s health. Fill out the form here to contact the following reputable wound care professionals who can answer questions and provide legal counsel detailing your family’s options during a no-obligation free initial consultation. Refer to our Arkansas nursing home and bed sore case settlement and jury verdict information here.